A Woman’s Life (Une Vie, 1883), the most popular and perhaps the greatest of his full-length novels, is the story of the unfortunate Jeanne, a Norman gentlewoman. Avariche and lechary, cruelty and greed, conspire against Jeanne wherever she goes: her husband turns out to be a lavscivious boor, her son a heedless spendthrift. In the end she is forced to sell her old family house just to stay alive. Who would have thought that such a little book (just 202 pages) could incite so many different emotions (on the part of the reader as well as the characters). One minutes I was swooning over landscape and seascape and melting in Maupassants prose, and the next I was wanting to ring the protagonists neck! The book starts with a young Jeanne who is on her last ever day at the convent school in 1819 and who is desperate to taste freedom and start her life after being cooped up for so long, only being able to stare out of windows and dream what her life will be like when she is finally out in the world. Jeanne’s daydreams are filled with longing and a restless spirit that is aching to see far away lands and nature and finally breathe after all these years at school. Jeanne’s parents (a Baron and Baroness) pick her up on her last day and drive her to Poplars which is to become her home by the sea. Maupassants narrative is so beautiful in parts that I longed to be there too; to experience what Jeanne was experiencing. Jeanne’s first few months are spent getting to know her new surroundings and enjoying her freedom and soon she is introduced to a young man by the name of Julien who is a count and after a breif and all-consuming romance they marry. 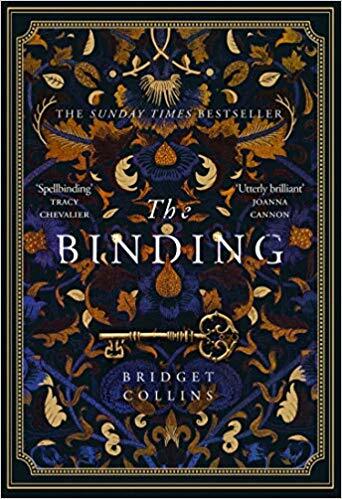 Jeanne starts to pick up clues that all is not what it seemed as early as the wedding night when he forces himself on his new bride but desperately wanting to believe that she has married the right man and stay happy she puts it to one side. I feel the need to note here (for amusements sake) that Julien calls his wifes breasts Mr Sleeper-out and Mr Kiss-me-quick and certain other part of her womanly anatomy The road to Damascus. Fortunatley these aren’t mentioned more than once. The story is very much about the downward spiral of one woman’s life. We watch Jeanne’s hopes and desires and dreams turn into boredom and frustration and self-pity. Maupassant has such a way with words that he drew me into Jeanne’s world and I felt the same longing she felt. It took me back to days when I had the world at my feet too and thought I could do anything, had no cares in the world – OK so my carefree days were a little different to Jeanne’s as in rather than floating round some big mansion by the sea, it was made up of nights out on the town, no mortgage to pay and a feeling of being able accountable to nobody except myself (ahh, to be so naive once more!). I do sometimes wonder how I would have coped in those days – one part of me thinks how lovely to do nothing all day other than read my books and take little walks round the garden with my parasol in hand, and the other part thinks but what would happen when you got bored of that? A woman didn’t have a choice then. In those particular circles they were there to look pretty and be seen but not so much heard. How dull! Despite my sympathy towards Jeanne, not just because of her longing for something else but also because of her brutish husband and selfish son, I still found myself wanting to grab her shoulders and give her a good shake! My God, this woman can make a fuss. Her level of self-pity knows no bounds – we have hysterics, weeping, falling on someones breast and weeping, collapsing on a chair and weeping, we have fainting, panic attacks and wailing. There were times when I wanted to yell “get a grip, love!” at the pages. This book, I believe, should have been translated as One Woman’s Life rather than A Woman’s Life as it is very much about Jeanne and her personal story. I read quite a few Maupassant books when I was at school (we studied Boule de Suife and some of his other shorter stories) but it’s far too long since I have read anything else of his. I’m glad I did – it reminded me why I liked him. Recommended. I need to read more of his stuff too Stu. Sounds interesting, Boof. Do you think that her hysterics, etc. are because this is written by a man? If a woman had written it, would the reader get a different perspective on the character? I find that often male writers really don’t have a good understanding of women’s feelings and motivations. That’s really interesting that you should say that, Gabriele, as I wondered exactly the same thing (in fact I intended to question it in my review but forgot). I would say so but only because the hysterics were so over the top. I certainly could never imagine one of the Bronte sisters letting their characters behave that way. At first, I thought he had really got under a womans skin because of the way he portrayed her longing for things she couldn’t have, but then both Jeanne and her mother almost became characetures in places. I’m interested to hear what others think? My wife ran across this blog today and showed it to me..
She thought is was funny to read the title of the book and realize the name of the author, i.e. 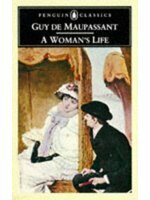 (A Woman’s Life by Guy de Maupassant). Anyway, sounds like a good read… Is it readily available? Ha ha, I didn’t even think about that. She’s right though! I found my copy in a sale but they do have it on Amazon too. Oxford University Press have just launched a new and updated version that they just call “A Life” and that is readily available I believe. I’d be interested to see how they have updated the translation actually, as my copy was translated in 1965 so is probably a tad dated now. I hope you enjoy if you do read – and if you do let me know if you think this “guy” really does understand women 🙂 (I’m not so sure). I will pop over to your blog and check out your review of Pierre and Jean (I want to read that one too). Thanks for letting me know.